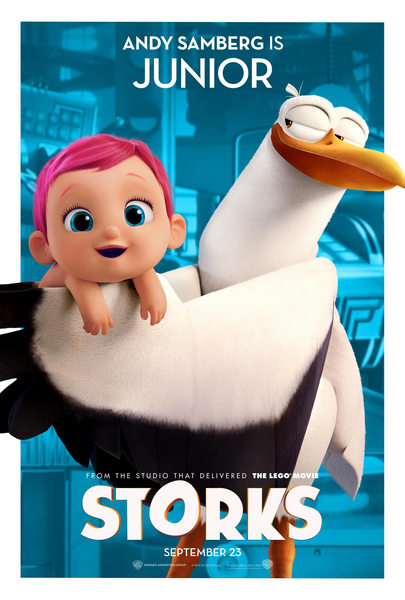 Cute New Storks Movie Trailer and Coloring Sheets Available Now! Most of my kids know where babies really come from, but that doesn't mean that they don't often wish that babies came from the more adorable myth of the baby-carrying stork! The latest movie from Warner Bros. Pictures embraces the age-old tale with an all-star voice cast and amazing animation! Check back soon for a fun Storks giveaway, but in the meantime, you can visit the Official Site, like ‘Storks’ on Facebook, or follow on Twitter and Instagram!